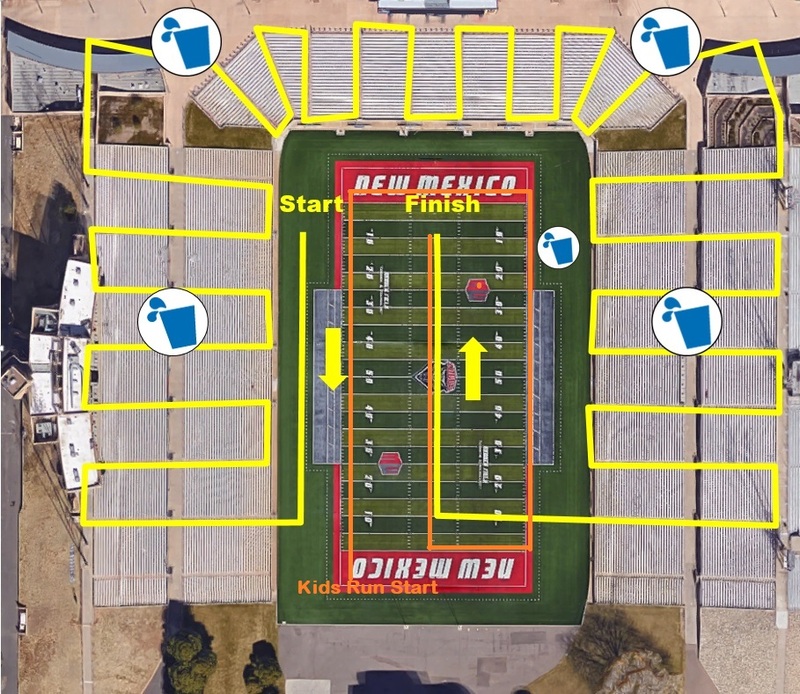 UNM Employee Wellness is hosting the 4th Annual Stadium Stair Challenge! on Saturday, April 27, 2019 come walk/jog/run the Dreamstyle Stadium stairs! Register for the event to receive a Dri-fit t-shirt and a tote bag. This is a timed event – prizes will be awarded for various categories. **New This Year – Employee Wellness is hosting a Kids K race! All registered participants (13 and under) are eligible to participate in the Kids K fun run around the football field. Sign up for Employee Wellness eight-week course to help you reach your personal fitness potential. Classes will be held in March and April. Training schedule HERE. Includes the eight-week training course and a complimentary entry to compete in the Stadium Stair Challenge. If you register for the eight-week course and the challenge, the fee is tuition remission eligible. If you only sign up for the Stadium Stair Challenge, the cost is NOT tuition remission eligible. Sign up early to receive a discount! The training classes will be led by Lauren Lewis, NASM-CPT. Lauren will teach you how to properly climb the stairs, offer tips on preventing injury, and provide a program for you to follow throughout each week to push you to peak performance on race day! Sports nutrition tips to help you focus on nutrient timing, food choices, and hydration so you can get the most out of your training. Each participant will be granted access to a Private Facebook group page. Specific workouts and race day updates will also be included. Registration will remain open on the day of the event until 1 hour before race start time. Register before April 8 to get a shirt in your preferred size. All entry fees are non-refundable and non-transferable. You may not give or sell your number to another individual. Each packet includes your BIB Number, timing tag, t-shirt, tote bags, coupons, and more! You need to present a valid photo ID to pick up your packet. If you are not able to pick up your packets in person, you may have someone pick it up for you. Please give them your valid photo ID. Packets can be picked up on Challenge Day at the check-in table. Please arrive 60 minutes before the event start time.